If patients want to record visits isn’t this just a symptom of your failure to provide them with documentation? A few years ago a Doctor (who is now retired) told me about a patient they discovered using a mobile phone to make a secret recording of their in office consultation. It was apparently quite easy to detect because although it wouldn’t be too unusual for a patient to be holding their mobile so prominently they also made some unusual elevation of their voice whenever they asked any questions they thought might be legally sensitive. The Doctor told me he would have preferred more honesty from a patient who was asking for his help but he felt it difficult to bring up the issue because he didn’t know the patient well enough and it was clear the patient had decided to make this recording secretly. He only mentioned it to me because it had made him reflect on how easy it was for him to simply scribble a note about this behaviour in the patients written records – something that might be unworkable for Healthcare Professionals in the future as patient records would be digitalised and eventually shared openly with patients. 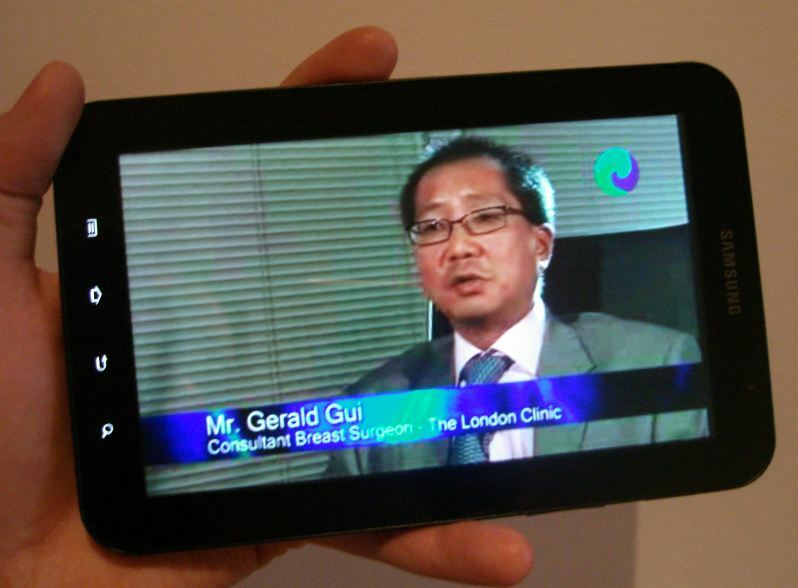 In 2012 this future has now pretty much arrived with practically every patient attending your clinic carrying an ever more capable video mobile and healthcare leaders like Google’s Chief Health Strategist positively encouraging patients to make audio recordings of consultations. As a result I find it hard to see how anyone can fail to find agreement with medical leaders like Dr John Bachman, Prof of Primary Care at the Mayo Clinic, who appreciate the urgent need for us to redesign the Doctor consultation process so that it’s fit for the digital era. Although it’s in a read only format on the American Medical News website I think this article by Katalin Eve Roth, MD, JD, Associate Prof at the George Washington School of Medicine and Health Sciences, is one of the best I’ve ever read that summarises the “pros and cons of letting patients record doctor visits” while asking “What should physicians do if patients want to record their discussions?“. > “Information overload and the stress of the doctor’s visit may cause a patient to forget much of what transpired” a problem that is “amplified when the medical situation is complex or unsettling or the news is bad“. Obviously there is an urgent need for Doctors to start using effective documentation processes. While Dr Roth may be right that “Doctors will need to develop policies to limit the distribution of these recordings to protect themselves and to protect the privacy of the patient-physician encounter” I’m surprised that the response is so reactive to this inevitable new situation and that there is no mention made about opportunities that Doctors have to prevent patients feeling the need to make their own recordings of consultations in the first place.